When it comes to 2019 planning, all you’ve got to do is increase organizational efficiency and agility; deliver agile, flexible, and responsive infrastructure; and to balance those objectives without a rip-and-replace approach to system modernization. One method of doing so is upgrading your underlying architecture with hyperconverged infrastructure (HCI) during a server refresh. Download this paper for 5 tactical reasons to consider HCI for your primary data center and storage architecture. 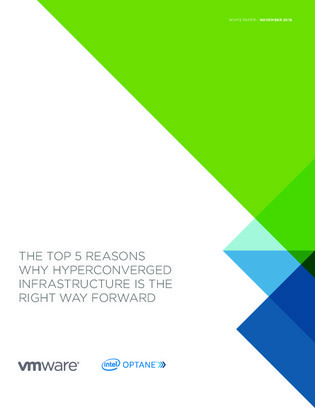 You’ll also learn why server refreshes present an opportune time to upgrade to HCI.